Ever Heard Of A Poshtel? Once in Joburg exploded onto the Jozi scene at the end of 2016, as the first *poshtel, identified under the umbrella company Once Travel, with sister hotel Once in Cape Town. A poshtel – AKA a posh hostel – combines the luxuries of a boutique hotel with the energy and excitement of a backpackers hostel! It’s a unique concept and is definitely something you need to check out if you’re looking to experience the best of Joburg. And with the launch of their brand-new “Once Business” concept, it’s a new space where you can do it all – sleep, eat, work and explore. So, What’s The Accommodation Like? This hybrid accommodation concept boasts both private double and twin standard rooms, and four-bed multi-share dorms, all with en suite bathrooms. All rooms offer basic luxuries such as hair conditioner, crisp white linen, flat screen TVs (privates only), safety deposit box and block out curtains. As for the multi-share rooms, they provide a more budget-friendly option for the solo traveller or a group of friends look for adventure. Costs start from R190 per person*. Let’s move onto the facilities! This includes a cinema room, small conference and meeting rooms, co-working space, communal entertainment area, large open kitchen, free Wi-Fi, free on-site parking, a restaurant and bar, laundry service, bike hire and 24-hour reception. Breakfast is included at the on-site restaurant and bar called The Immigrant. 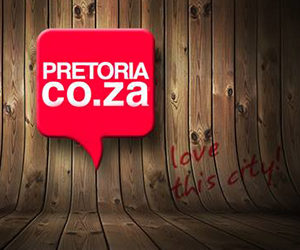 Once in Joburg is centrally located in trendy downtown Braamfontein. The Braamfontein precinct is up and coming, offering inner-city goers endless options of co-working spaces, art galleries, museums, designer boutiques, vintage shopping, nightlife hot spots, farmer’s markets and so much more. The dynamic team curates a variety of experiences to showcase the best of our bustling city. Join in on local adventures such as the Braam By Bike tour which is curated, owned and led by Zodwa, a local Sowetan. She will take you around the neighbourhood on a bicycle, uncovering street art, culture, history and cuisine. It’s an absolute must! Try a traditional beer brewing experience (umqomboti) set in a family home in Soweto, or attend their monthly First Thursdays with live DJs and film screenings. There’s also daily free walking tours, graffiti walks, yoga classes and pub crawls leave from reception – locals are more than welcome to join in! Let’s not forget to mention, an artist exchange is offered where a large blank canvas in every room is painted by an artist, both local and international, in exchange for accommodation. It brings people from different parts of the world together to share stories and experiences, as well as culture, music and art. How unique! If you’re a virtuoso, then make sure you hop on an overland truck with Once in Joburg and go on a musical journey to the coolest events around the country, such as AfrikaBurn (Africa’s version of Burning Man: Karoo – April), Bushfire Festival (Swaziland – May), Rocking The Daisies (Darling – September), OppiKoppi (Limpopo – October), and Afropunk which will be returning to Constitution Hill for NYE 2018 – a stones throw from Once in Joburg. Join the festivities: you’re never alone and never without a local. For bookings or more information about Once In Joburg, call 087 057 2638 or visit www.once.travel. Don’t forget to give them a follow on Facebook, Twitter and Instagram.